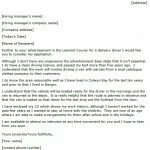 Use this example letter if you are going to apply for a Delivery Driver job. 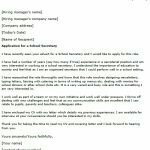 Use this covering letter if you are going to apply for a School Secretary job. 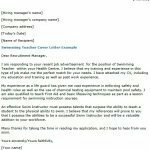 Use this cover letter example if you want to apply for a Swimming Teacher job. 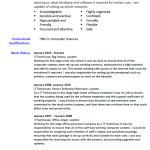 Use this CV example if you are going to apply for a IT Technician job or just refresh your current CV. 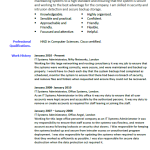 Use this following sample if you want to apply for a IT System Administrator job or just refresh your CV. 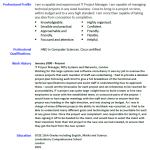 The following CV Example is for a IT Project Manager job application. Use this sample after amending it as suitable. 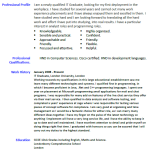 The following CV example is for an IT Graduate. 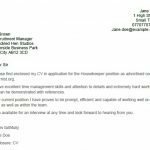 Use this sample to refresh your CV or apply for job vacancies. 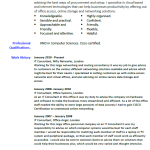 The following CV example is formatted for a IT Consultant job. 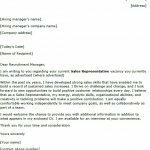 You can use it for your careers however don’t forget to amend it as suitable.